6 May 2008, at 4:43p.m. 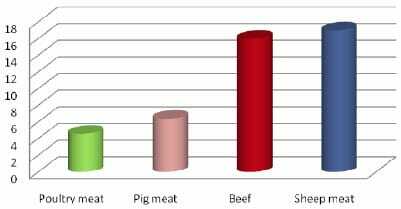 UK - A major carbon footprint study in the UK comparing environmental burdens and resource use in production of beef, sheep meat, poultry meat, eggs and milk, has declared poultry meat the clear winner. 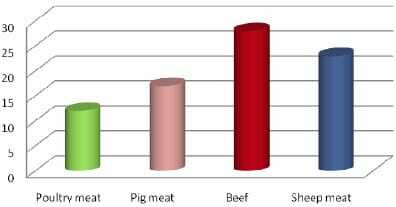 The Cranfield University study found that poultry production, in particular conventionally produced chicken (which in Australia represents the overwhelming majority of chicken sold), is the most environmentally efficient meat, followed by pork and at some considerable distance sheep meat and beef. Chicken’s efficiency in converting its feed into meat plays a big part. This efficiency has been achieved through traditional breeding over dozens of generations and through better matching of feed to the birds’ dietary needs at each stage of their development. It is generally accepted that these findings hold true for meats produced in Australia as well. Dr Andreas Dubs, Executive Director of the Australian Chicken Meat Federation, said: “The concept of environmental impact is influencing consumer purchasing decisions at the meat counter more and more. People want to be informed about the environmental impact of various proteins to help reduce their own carbon footprint. In the UK, Tesco supermarkets have anticipated this consumer phenomenon and are piloting a new carbon labeling scheme advising the number of grams of carbon or equivalent greenhouse gases emitted as a result of growing, manufacturing, transporting and storing a product – an interesting step in helping the consumer to take responsibility for their own environmental impact. The Australian chicken meat industry processes more than 400 million chickens each year, generates revenues of approximately $2.7 billion and is expected to grow at 2.8% per annum.